There is a harsh truth that employers and head hr of a company doesn’t like to acknowledge. The truth that employees hardly care about the employee benefits the company offers. Be it life insurance, medical benefits or disability benefits. On top of that, all these benefits are double-edged swords. You won’t actually use them unless you had to. These benefits actually seem like an inevitable right which should have been otherwise state-sponsored. In this scenario, an employee discount program enters the room as the savior. What is the Employee Discount Program? You know how everybody loves to get a discount while shopping. Employee Discount Program does exactly that. Employee discount program allows employees to go for a discount while they shop for products or service. The products may range from grocery items to movie ticket. With your management already entrusted with activities that are crucial in the proper functioning of the company, why should you invest further resources for employee discount program? These few points will clear the doubt you harbor. Unlike other benefits, like life insurance, medical insurance etc, which are generally showered by companies, your employees are actually interested in your employee discount program. They are able to recognize that they are actually able to save money. They appreciate this particular benefit. When you tell your prospect new talent that one of the benefits of joining your organization is access to an exclusive portal that will provide exclusive discounts which are not available in the open market will be a unique selling point. If you just think about it you’ll realize the impact you can make with while hiring a dynamic talent. You can make your talent acquisition more efficient with the almost same amount of compensation as was previously offered to your prospect. Losing an important talent into the hands of a fierce competitor is the last thing you want. The wound runs deeper if your employee is lured by your competitor by their exquisite benefits. You can keep your competitors at bay by implementing a proper employee discount program. The discounts available here at the program of Vantage Perks are applicable on a wide variety of products ranging from automobile to grocery item. A platform with benefits on a wide variety of products and services give your employee ample freedom while going for a product and also keeps them satisfied. Offers as perks and discounts help you to make a statement that you care for your employee and appreciate their efforts. This helps in the making of a great working atmosphere. Another approach maybe is to reward outstanding performance with added benefits and perks. 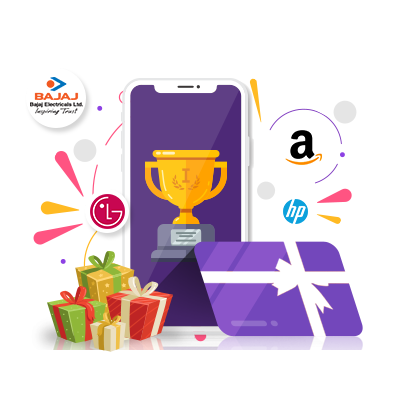 We at Vantage Circle have the platform of Vantage Reward, where you can show your appreciation for your top performers by alloting them Vantage Points. 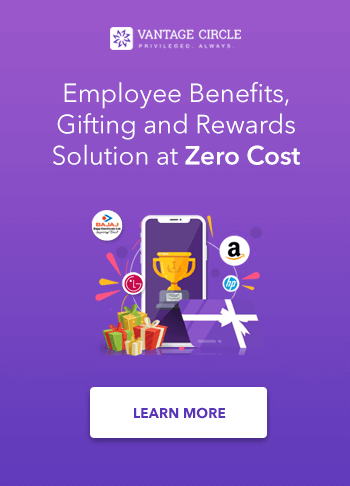 In a point-based rewarding system, each employee is part of an employee rewards platform where the employer can allot points instead of money to their employees as gifts or rewards. The employees can redeem these points earned by them and use it to buy goods/services of brands from different categories – like merchandise, travel, lifestyle etc – available on the platform. This form of reward policy in your workplace motivates your employee to be more productive and you will be able to identify an increase in your end results. As you are now aware of the benefits of the Employee Discount Program, you are faced with yet another dilemma. Which employee discount program should you go? Here a list of few things to consider while going for an Employee Discount Program. This is the first step taken by most employers. What are the associated brands or merchants with the discount program and will their employees recognize the brand? You should be always on the lookout for brands which has a strong national presence like Samsung, LG, Toyota. Well recognized brands display the credibility, even if your employee doesn’t use it too often. According to Medium, online shopping represented only 6.4%( by value). The rest was represented by brick and mortar offline shopping. Brick and mortar businesses like restaurant, movie theatres, amusement parks, grocery stores, automobile stores etc. So it is vital for your employee discount program to consist of these local businesses. You should be able to identify the offline ventures in which your employees mostly spend their money and make sure those businesses are on your program. The inclusion of those offline outlets will make your program much more effective. The worst thing you can do is to masquerade public offers as an exclusive offer and calling it benefits. This is how most employee discount give supposedly “free discounts”. They fill their platform with publicly available coupons and discounts which can be found online. This, in turn, backfires on your plan. The result is mistrust, low employee management and will distort their views they had on your company. You need to make sure the discount program which you are availing is completely exclusive to your employees and are in no way publicly available. This creates a sense of pride in your employees regarding the work. Whether your discounts are exclusive or public, the relevancy of your discounts will largely depend on how deep your discounts are. You should be clear on certain points like what is the average discount offered on the product both publicly and exclusively. One more key aspect you should look out for is in what “sector” does your client provides a discount. We understand the value of discount medical surgeries, theft protection, and other such crucial domain. But the underlining fact is that people generally spend a much lesser amount of money in these domains. According to economictimes, a typical working family in India spends about 3% on life insurance and 4% on health care. A large chunk of upper upper-middle-classes’ budget is allocated to luxury items. It is very clear from the data above that your discount program must include luxury or recreational products. This relevancy in the products, like mobile coupons, vacation discounts etc, promotes a positive environment in your workplace. Everything, good or bad, will eventually come to an end. Your contract with the firm providing the discount program does not serve as an exception. You need to find out how long will the contract run. If you decide not to continue with their services, what will be the notice period? Upon completion of the period of the contract, will it renew itself? These are some of the few questions you need to be wary of while going for a discount program. Now that you have a fair bit of idea about why the employee discount program is important and how to make an informed decision, the last thing that you should do is to rush at it. You should not assign a low priority to this decision. You should not waste your employee's trust or time by providing them with benefits which are nothing but an advertisement. The questions you ask and the decisions you take are going to have a deep impact on your employees well being and ultimately their productivity. When you do your homework right you will increase your chances of landing a great program, and along it with a great partner. This article is written by Iftekar Ahmed. Iftekar is working as a content writer and digital marketer at Vantage Circle.He is a music aficionado and loves eating dhokla.